Blade of Agony: Chapter 2 - Released! We did it! 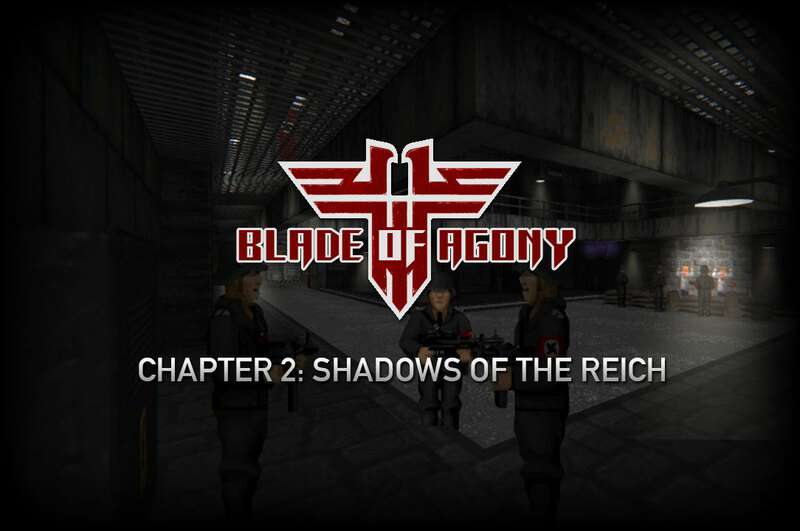 After polishing the second chapter of Blade of Agony for the past 3 weeks we are here to proudly present the release of "Shadows of the Reich", an all new episode that directly connects where the thrilling action and plot ended in "The Staff of Kings", which is also included in the release with a lot of improvements and additional surprises. So what's new? ...and that's only a fraction of all the things to come. Don't waste any more time, get psyched, get "Shadows of the Reich" just now! Re: Blade of Agony: Chapter 2 - Released! Wow, I am so happy for you and your team! Congrats on getting it released AND getting the attention of one of the creators! Oh that's amazing! I've just finished the first level of the first episode. It's much harder than I thought it would be. I haven't even found all of the secrets and I've been looking a few hours. I can see you've put a lot of effort into this. I like the details such as the yorp, cacodemon and jukebox in the briefing level. I need to find those cartridges! Are they really mini games to play? Oh that's amazing! I've just finished the first level of the first episode. It's much harder than I thought it would be. Well, depending on the selected skill level obviously. Knowing the level helps as well, first attempt can be especially challenging. Dogs and turretgunner surprise you and take alot of health, roof "snipers" and spawned "backtrack nazis" as well. I can see you've put a lot of effort into this. Thank you. 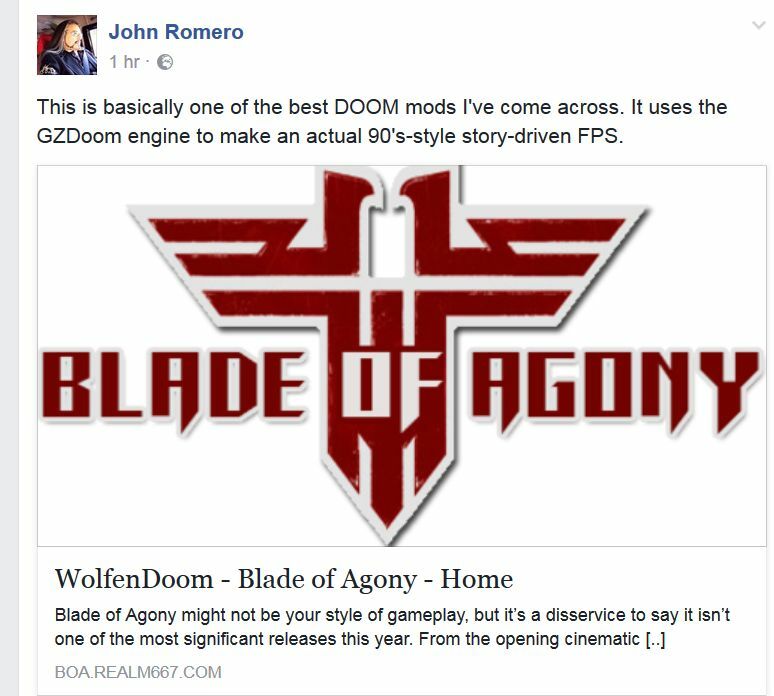 Indeed, perfectionism, detail, and work ethics/dedication (on a daily basis for such a long development time) of the team is outstanding (from my perspective), added to creativity and overall modding skills it gives impressive (IMHO) result. They polish every detail. I like the details such as the yorp, cacodemon and jukebox in the briefing level. ALOT of detail. Indeed. And easter eggs for other classic games. I need to find those cartridges! Are they really mini games to play?